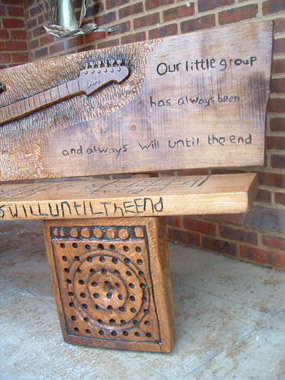 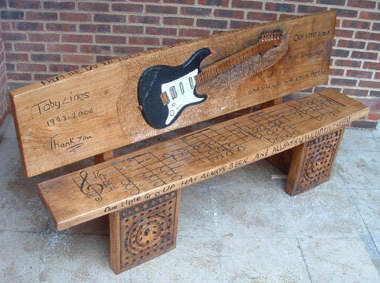 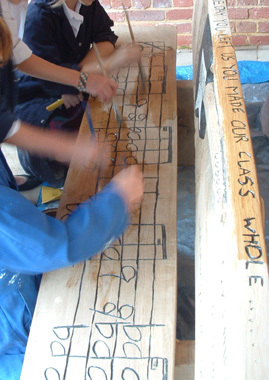 Working with the students of Ditcham Park School near Petersfield, Hampshire we designed this Bench as a memorial to one of the students. 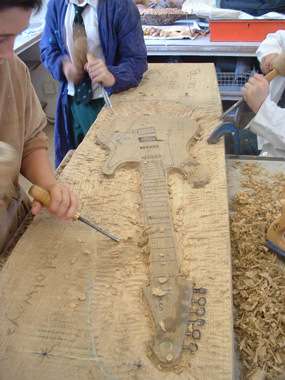 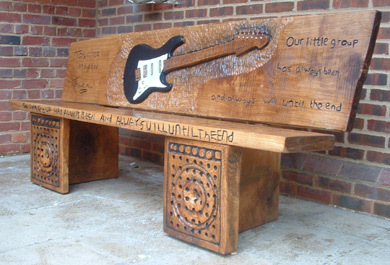 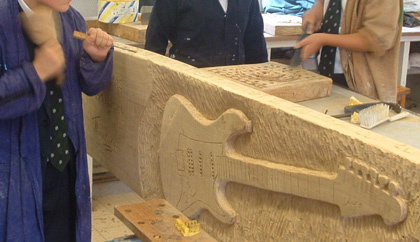 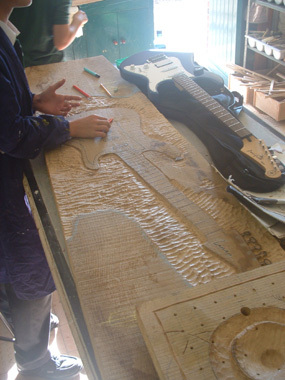 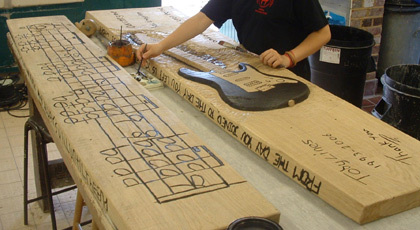 We drew out the designs on the Oak planks, depicting his electric guitar and part of the music from a Nirvana song. 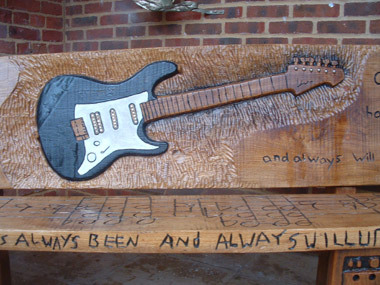 Other metal elements were incorporated in the carved guitar and dark woodstain applied to create contrast and shadowing.